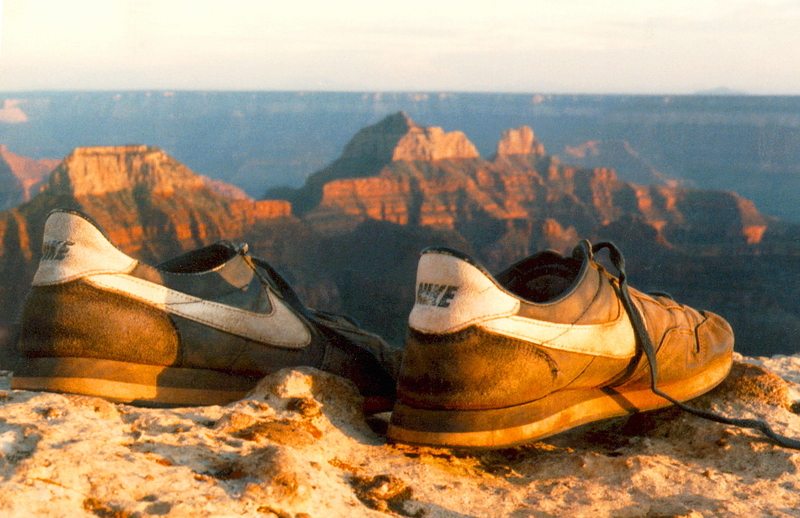 Eye of the rooster, a photo by The Bacher Family on Flickr. 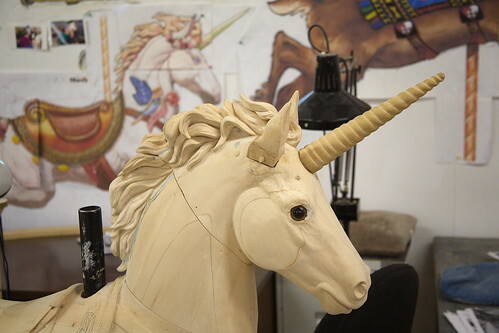 If you're ever in Albany, Oregon, make time to visit the Brass Ring, a volunteer community art project that has labored for many years to recreate, piece by piece, an authentic hand-carved traditional carousel. We stop in at least once a year to watch the progress, and the pieces are amazing. 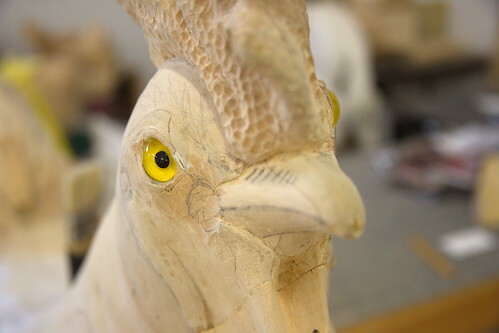 Here's one of the new ones, a rooster in its early stages of carving -- but you can already see the personality he has. I chose to focus tightly on the eye, since it's the only part fully completed, and the most compelling part of the whole ensemble anyway. 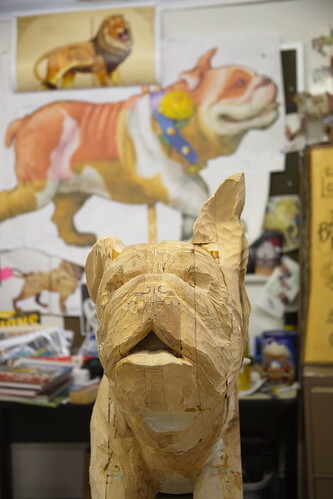 A bulldog at the Albany Brass Ring poses in front of the artwork showing what he'll eventually look like when completed by his volunteer carvers.